The original—and the best? 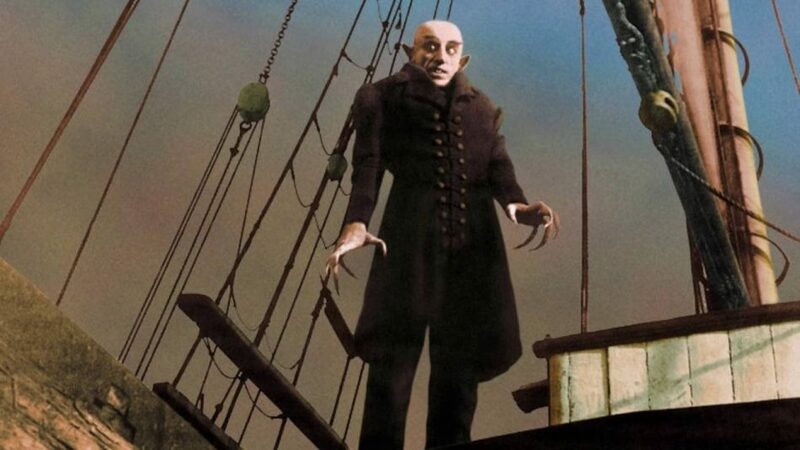 Count Orlok (Max Schreck) in a colourised still from Nosferatu, eine Symphonie des Grauens (1922). Subject to several remakes, another may be in the works. Picture: Prana-Film; YouTube/Harry Steiman. I’m not usually a fan of remakes—creative bankruptcy and all that—but there’s one remake in the works I’m actually looking forward to: Nosferatu. Widely considered a classic, F. W. Murnau’s Nosferatu, eine Symphonie des Grauens (1922)—which ripped off the plot of Bram Stoker’s Dracula (1897)—has actually been remade before; Werner Herzog’s “tribute” Nosferatu: Phantom der Nacht (1979). The best-known Nosferatu remake. 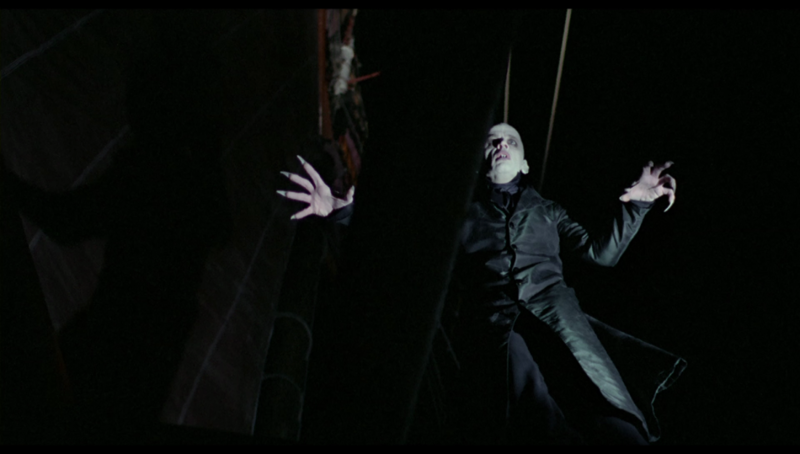 In a nod to Murnau’s source, Orlok was renamed Count Dracula in Werner Herzog’s 1979 remake, Nosferatu: Phantom der Nacht. Klaus Kinski starred as the vampire. Picture: Werner Herzog Filmproduktion; Cinapse. Considered a minor classic in its own right, Herzog’s film inspired Augusto Caminito’s Nosferatu a Venezia (1988), an unofficial sequel also starring Klaus Kinski as the vampire—but only unofficial because a legitimate attempt was apparently scuttled by Kinski’s eccentricity and temperament. David Lee Fisher is also working on a Kickstarter-funded Nosferatu “remix” with Doug Jones as Orlok—a project I tried convincing people not to donate to on account of redundancy (the premise made it sound as if it was basically refilming the silent movie with audible dialogue and better make-up). The film is currently in post-production. So do we really need another remake? Yes, and I’ll tell you why: Robert Eggers will be writing and directing it. Probably. In case you’re not familiar with Eggers, you might’ve seen his debut feature film, The VVitch: A New-England Folktale (2015), a film that “scared the hell out of” Stephen King. That’s exactly the kind Nosferatu remake I’d like to see—The VVitch, but with vampires. There’s no need to re-tread Murnau’s Expressionist style (like the “remix” is going to), when Eggers’ own approach works wonders on every level. But I don’t want to count my chickens before they’ve hatched. As of this writing, the remake isn’t listed on Eggers’ IMDb profile (his most recent writer/director listing is a short called Brothers ) and the only “concrete” info suggesting the film’s going ahead is that “Sources” told Variety that the The VVitch’s star, Anya Taylor-Joy, was in negotiations to star in the remake. Remake star? Anya Taylor-Joy starred as Thomasin in The VVitch: A New-England Folktale (2015). If Eggers follows the plotline of Murnau’s film, she’d most likely play Ellen Hutter, portrayed by Greta Schröder in the original. Picture: A24; Kill Screen. Let’s hope this proposed remake is more than a casualty of development hell. In the meantime, I’ve emailed Craig Kestel, a contact on Eggers’ website, for clarification. Werner Herzog’s “tribute”: Mark Olsen, “Re-Release of Werner Herzog’s ‘Nosferatu’: ‘It’s Not a Remake,’” Los Angeles Times, May 16, 2014, accessed January 24, 2018, http://www.latimes.com/entertainment/movies/moviesnow/la-et-mn-rerelease-of-werner-herzogs-nosferatu-its-not-a-remake-20140516-story.html. Wayback Machine link. The English language version, Nosferatu the Vampyre, was filmed simultaneously using the same cast and sets. scuttled by Kinski eccentricity and temperament: Luigi Cozzi, “Interview de Luigi Cozzi,” by Nikita and Zord, Nanarland, accessed January 25, 2018, http://www.nanarland.com/interview/interview-luigicozzi-page-6.html. Wayback Machine link. “blood-drenched revisioning”: “Red Scream Nosferatu (2009),” IMDb, accessed January 24, 2018, http://www.imdb.com/title/tt1530985/ . Wayback Machine link. “cheap, arty, gory, and astoundingly dull”: Lyndon W. Joslin, Count Dracula Goes to the Movies: Stoker’s Novel Adapted, 3rd ed. (Jefferson, NC: McFarland, 2017), 269, accessed January 25, 2018, https://books.google.com.au/books?id=7ZGrDgAAQBAJ. a project I tried convincing people not to donate to: Anthony Hogg, “Shadow of the Vampire: Nosferatu Remake Planned,” Vamped, November 21, 2014, accessed January 24, 2018, http://vamped.org/2014/11/21/shadow-of-the-vampire-nosferatu-remake-planned/. The film needed US$60,000 by December 4, 2014 to meet its goal. It got $67,551. David Lee Fisher, Updates page, “Nosferatu — The Feature Film Remix,” Kickstarter, accessed January 24, 2018, https://www.kickstarter.com/projects/82215933/nosferatu-the-feature-film-remix/updates. Wayback Machine link. currently in post-production: “Nosferatu (2018),” IMDb, accessed January 24, 2018, http://www.imdb.com/title/tt5574078/. Wayback Machine link. Robert Eggers will be writing and directing it: Mike Fleming Jr, “Studio 8 Sets ‘Nosferatu’ Remake; ‘The Witch’s Robert Eggers to Write & Direct,” Deadline, July 28, 2015, accessed January 25, 2018, http://deadline.com/2015/07/nosferatu-the-witch-robert-eggers-studio-8-1201486438/. Wayback Machine link. “scared the hell out of” Stephen King: Stephen King (@StephenKing), Twitter, February 16, 2016, 12:23 p.m., accessed January 24, 2018, https://twitter.com/stephenking/status/699403703724457985?lang=en. Wayback Machine link. “Then, when I was 17, I directed the senior play [of] ‘Nosferatu'”: Chris O’Falt, “Filmmaker Toolkit Podcast: ‘Witch’ Director Robert Eggers’ Lifelong Obsession with ‘Nosferatu’ and His Plans for a Remake (Episode 13),” IndieWire, November 11, 2016, accessed January 25, 2018, http://www.indiewire.com/2016/11/filmmaker-toolkit-podcast-the-witch-robert-eggers-episode-12-1201745594/. Wayback Machine link. “Well, it’s actually not what I’m doing next”: Perri Nemiroff, “‘The Witch’ Director Robert Eggers Says the ‘Nosferatu’ Remake Is Not His Next Project,” Collider, February 18, 2016, accessed January 25, 2018, http://collider.com/nosferatu-remake-update-robert-eggers/. Wayback Machine link. 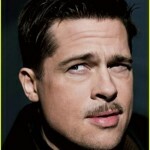 his most recent writer/director listing: “Robert Eggers,” IMDb, accessed January 25, 2018, http://www.imdb.com/name/nm3211470/. Wayback Machine link. Anya Taylor-Joy, was in negotiations to star in the remake: Justin Kroll, “‘Split’ Star Anya Taylor-Joy Reteams with ‘Witch’ Director on ‘Nosferatu’ Remake (EXCLUSIVE),” Variety, August 14, 2017, accessed January 25, 2018, http://variety.com/2017/film/news/split-anya-taylor-joy-reteams-with-witch-director-on-nosferatu-remake-1202527484/. Wayback Machine link. a contact on Eggers’ website: Contact page, Robert Eggers, accessed January 25, 2018, http://roberteggers.com/contact-1/. Wayback Machine link. We will keep you posted on details as they come to hand. In the meantime, feel free to check out Erin Chapman’s “virgin’s view” on the original film.